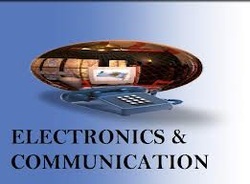 " MAIN THEAME OF "ELECTRONIC & COMMUNICATION ENGINEERING"
ECE stands for ELECTRONICS &COMUNICATION ENGINEERING . It Is a ever green branch allmost 70% of students are intrested to join in ECE branch. IMPORTANCE OF ECE BRANCH The Circuit Branches... ECE, EEE and EIE have a multifaceted & plenty opportunities spread across a wide spectrum of industries in India and world. There is plethora of employment chances if one chooses any circuit branch .These branches are everlasting branches because there is no recession in this field. There will be immense chances for research ,patent and product realization .With innovative or perish being buzzword in Engineering Community circuit branches have wide scope for innovation and stability to meet the current day to day needs. So in the present scenario the usage of electronic goods increases tremendously. It is good step to pursue Post Graduation, which helps for fast growth and settlement in the life. 3. Digital Electronics 4. Linear Integrated Circuits 5. Microprocessors & Micro Controllers 6. Digital Signal Processing 7. Optical Communication 8. Satellite and Mobile Communication 9. Oops, C, C ++, CO and CN 10. VLSI etc. If the students prepare all the important subjects thoroughly it is very easy to get good GATE rank .But students should start preparation from the first year onwards. The job opportunities for ECE graduate are sky-scraping in future. The usage of Cell phones, TVs, Computers, Medical instruments, Audio and Video systems and Electronic goods used in daily life increases enormously high. The ECE Students can take the following specializations in M.Tech... 1. Computer Science and Engineering 2. VLSI Technology 3. Embedded systems 4. DSP and Applications 5. Micro Electronics 6. Electronic Instrumentation 7. Control systems 8. Microwave Engineering 9. Communications and Applications 10. Wireless Communications, etc. All the above courses are offered by all IITs & NITs and Reputed Universities Specialization in any course is having very good demand. And almost all manufacturing companies hire Electronics and communication engineering graduates for jobs specifically. New Companies like Unitech, Videocon, etc.have entered in the telecom sector.